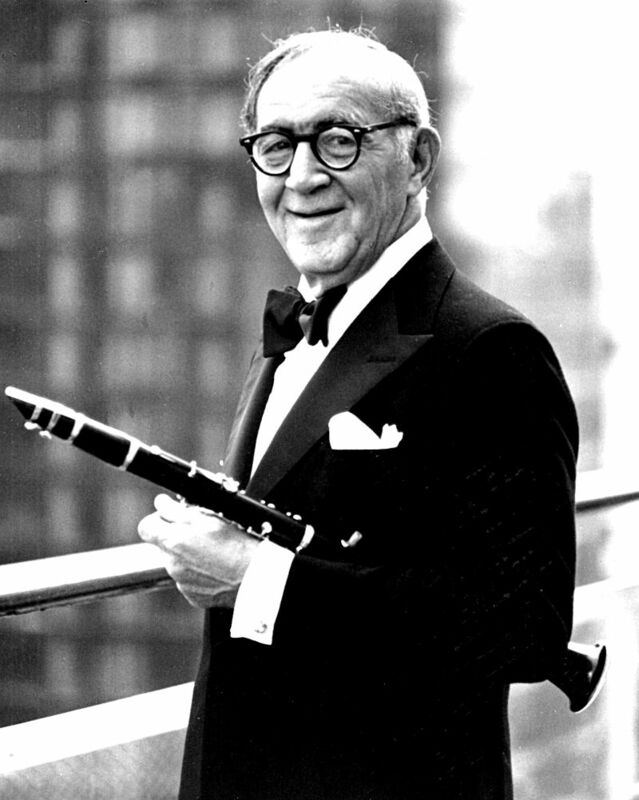 Bandleader and jazz clarinet virtuoso, Goodman was a master of swing —the musical sound of the 1930s and 1940s, featuring fast, syncopated rhythms that were meant to be danced to. Goodman’s band featured a who’s who of American jazz, including guitarist Charlie Christian, trumpeter Harry James, drummer Gene Krupa, vibraphonist Lionel Hampton, and pianist Teddy Wilson. Some of Goodman’s most memorable tunes were arranged by orchestration genius Fletcher Henderson.